For use with QSTSLV-REAMKIT only, where the sleeve can be reamed in situ after glueing. Special glue (QGLUESS) needed for fitting. 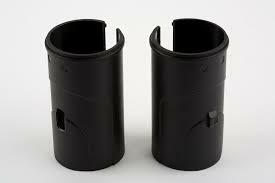 One sleeve is for use with slotted tube, one for unslotted tube.